Solidworks is a 3D CAD software with an intuitive interface and offers wide range of tools for designing, analysis and also animation. Even without a prior knowledge of designing a student can easily and quickly design a part to their liking. 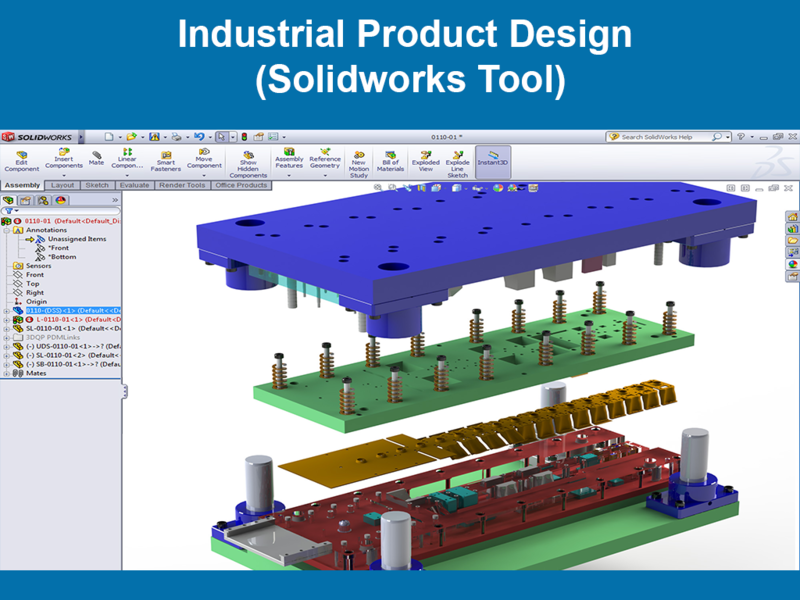 A range of pre-designed components are also available with Solidworks and can be used as it is. Solidworks is the most popular design tool, with its user base ranging from individuals to large corporation and covers a very wide cross-section of manufacturing market. With the licenses being purchased by companies like ADES, Adaptive Micro Systems, ACUTRONICS etc. A product designer and engineer are required to have complete knowledge about developing a design virtually. But we believe an engineer needs something more than that to strive in an industry. This course is a part of Ready-for- Industry courses, which aims to make, the budding designing engineers, adept with the scenario in a company. The outcome of such courses is to give that extra edge to the students where in a company views them as the candidate. 1. You will learn how to easily design product or import images to sketch a shape. 2. You will be able to create a systematic workflow that will cover all tasks right from conception of design, to prototyping to testing for the manufacturability of your design. 3. You will learn how to validate and design your product according to specifications given by the industry.